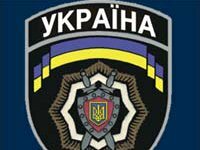 Police patrols detained two men in the Sviatoshynsky district of Kyiv on Friday, January 31, and seized homemade firearms and a gun with traumatic cartridges, the public liaisons department of the Ukrainian Interior Ministry reported on Monday. According to the detainees, they received the weapons on Maidan Nezalezhnosti (Independence Square) in Kyiv. "Thirty-year-old Vitaliy came to Kyiv from Poltava region and hoped to make good money on the Maidan. According to him, he immediately joined one of the units on the condition of receiving UAH 200 per day of 'work.' A young man was responsible for guarding the tents and participating in mass events, rallies, etc. He got a 'flintlock' from one of his companions to shoot at police officers who are on duty on Hrushevskoho Street, but says that he has not yet used the weapons," reads the report. The police said that "his 45-year-old fellow also actively participated in protests, and, on the side of the members of the Spilna Sprava movement, and even protected the Agriculture Ministry from Svoboda supporters." "The man said that he saw many people on the Maidan have various weapons. He received the gun seized from law enforcement officers from the chief of his unit," the report says. The seized weapons have currently been sent for examination. Criminal proceedings on the case have been launched.